After School's Jooyeon updated her Twitter on 20th December. 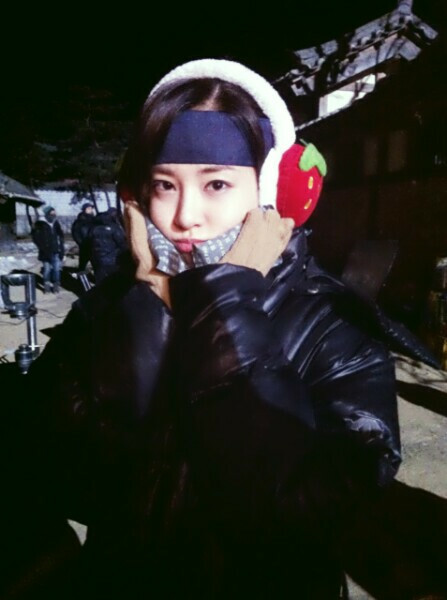 She mentioned,"I could not live without a hot pack, although it's cold but Jeon Woo Chi team Hwaiting". Jooyeon is spotted filming her latest drama Jeon Woo Chi despite the cold weather. Fans commented,"Jooyeon so cute","will watch your drama for sure","Hwaiting" and etc.